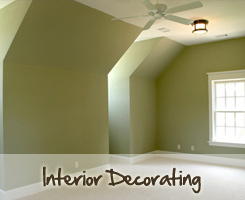 Professional Exterior Painting Services in Dumbarton. A schedule of works is drawn up after an initial assessment and discussion with the customer. We do all we can to adhere to the schedule as much as is possible. We will arrive at the time agreed and cover all the areas in which we will be working with large dust sheets in order to prevent any paint damage or spillage. If we will be working at heights, we will have arranged for ladders and/or scaffolding to be available. Only when we feel the preparation has been fully completed will we start to apply the high quality products as agreed in the initial discussions. If you have them, we will clean soffits and fascias at the same time. We will leave your property in a clean and tidy condition at the end of each day so that you can still access and use your home as you need.